This blog post is a review of the free Personal Finance website, GENi revolution. Really, it is...but first you get my back-story. Technology integration is my passion, but it is not what led me to become an educator. I entered the world of high finance in 1993, becoming a licensed stock broker shortly after my 22 birthday, and didn't leave the industry until 2005. During that time I had many positions, from quoter (someone who give stock quotes over the phone) to a investment specialist/relationship manager working exclusively with clients investing a million dollars + with the firm. I taught many different seminars, specializing in educational seminars for women. I thrilled in teaching my clients about WHY they needed to invest and why my recommendations were sound. I did not believe in just telling them what to do and expecting them to follow my instructions with no questions asked (that is not a wise investment strategy). I LOVED the educational aspects of my career, but I HATED sales, with a passion. Especially when my firm would tell me to push a particular product or service, even when I did not feel a client needed it. Finally, after much soul searching and prayer, I came to the conclusion that this was no longer where I needed to be, and that if I truly wanted to affect the financial futures of others, I needed to start in the classroom, before they could go into debt or waste 20 years of not investing in their 401(k). So, I left the world of finance and became a teacher. I was very fortunate. I did not have to complete an educational degree program before I could get into the classroom. Because of my prior experience in one of a select group of careers, and the fact that I live in Arizona, I qualified for a provisional Career & Technical Education certificate. I had to prove extensive experience in finance to get my certificate. Then I had to get 2 years of teaching experience, pass certain AEPA exams, complete several college classes in CTE education, and get a favorable review to allow me to get a regular certificate. I don't know if you know how hard it is to convince a school to hire you, with no formal teaching experience (not even student teaching) and not being in an education program at a university. All I had was a certificate that said I could teach business and marketing. 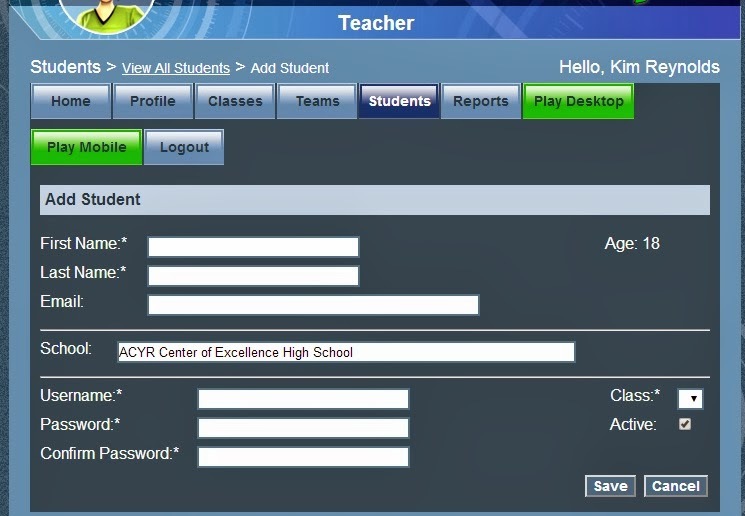 Thank goodness computers falls under that, because I finally found a school trying to fill a recently vacated computer teacher position 2 days before school started. Long story short, I was hired and I soon convinced them of the importance of personal finance education, especially for our particular student population. The course is now required to graduate from our school, and I couldn't be happier! I actually use a paid program from Knowledge Matters to supplement my teaching of Personal Finance, but I recently came across GENi revolution, created by The Council for Economic Education. 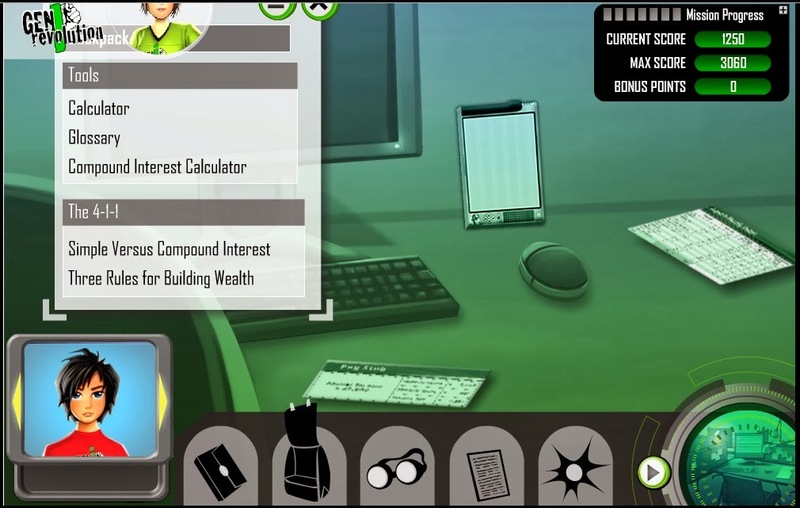 This is a free online game that teaches students key financial concepts and I LOVE it! 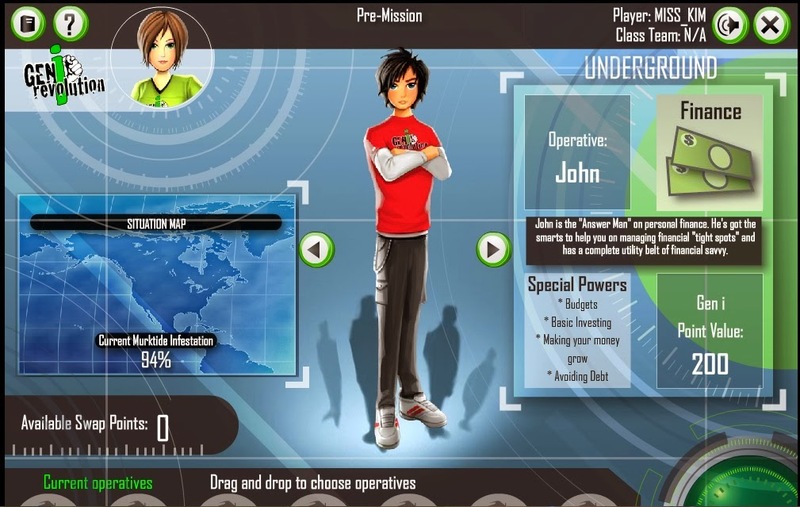 I will be supplementing all future courses with "missions" from this game. The quick and dirty is that it requires critical thinking, applied business math, inquiry, and online research skills. And it's a GAME! That's FREE! It has 15 missions covering investing, budgeting, savings, career choice, post-secondary education decisions, financial planing, and economic outlook. Did I mention? It's FREE! 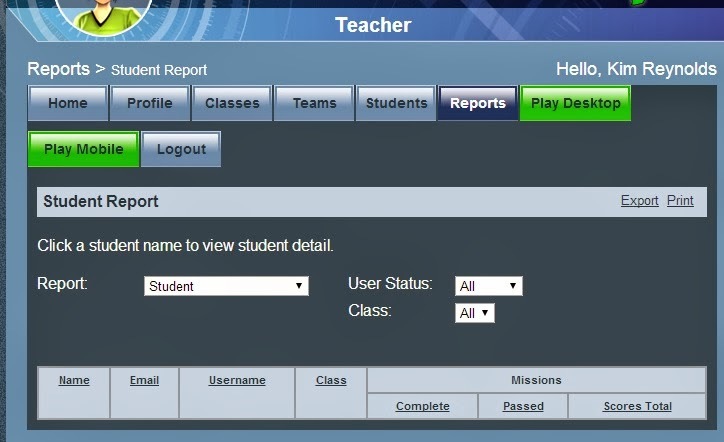 As an educator, you have the ability to add students, create teams, create classes, and monitor progress through a very simple interface. 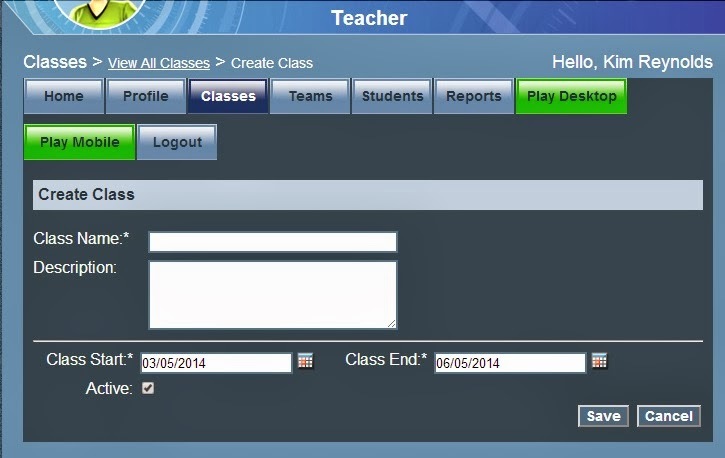 If you notice, students can play a desktop or mobile version of GENi. But there is also two additional games: Murktide Invasion and Beyond the Mission which allows students to dig even further into more advanced financial concepts. I will leave the discussion of those two games to a later date. The interface for playing the game is actually very intuitive and easy to work with (BTW, you can also play). 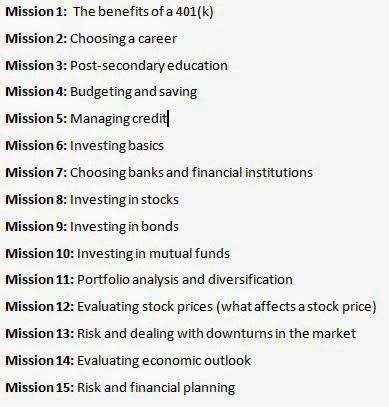 Based on the way I teach my Personal Finance course, I would group all the missions involving investing together and have students work through them in the order that compliments my teaching plans. You have that flexibility with this game. Every mission has a briefing that gives students their objective. The missions require students to view short, informational videos about the subject (found in the backpack), use a regular calculator as well as various financial calculators, and answer questions throughout the mission to check for understanding. They receive immediate feedback and recommendations for next steps if they are struggling with the questions. The game feels like you are solving a mystery and requires students to find the information needed to answer questions, so students are challenged to think critically. But the students are also engaged and enjoy playing the game. 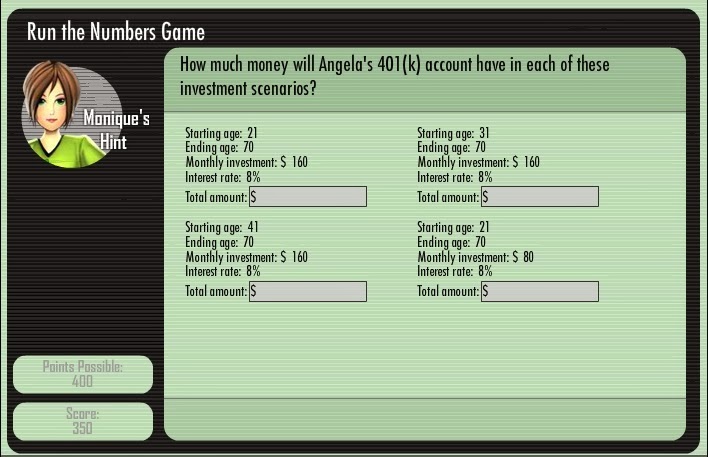 This game is a great learning tool for any teacher interested in teaching any or all of these financial concepts. There is a book (Supplemental Materials) that you can purchase for use in the classroom to complement the game, but it is not required to be able to play the game successfully. The audio and video component of instructions, along with the students ability to replay as many times needed, allows for immediate differentiated learning for all students. 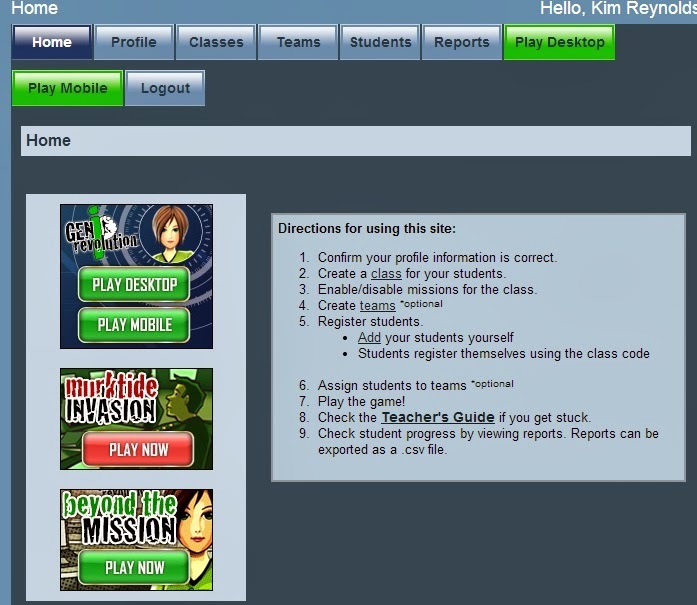 The game also allows those students with stronger skills to move ahead at their own speed. It challenges students to think, requires the use of math skills, and allows them to analyze information and make a decision based on that information. All around, it is a great learning tool. So, I hope you will check out GENi revolution. It is free and easy to access. Our students are graduating HS without the basic money skills they need to survive in this world. Including some form of financial education in your social studies, econ, math, business, etc. class will better prepare your students to be successful in the real world.